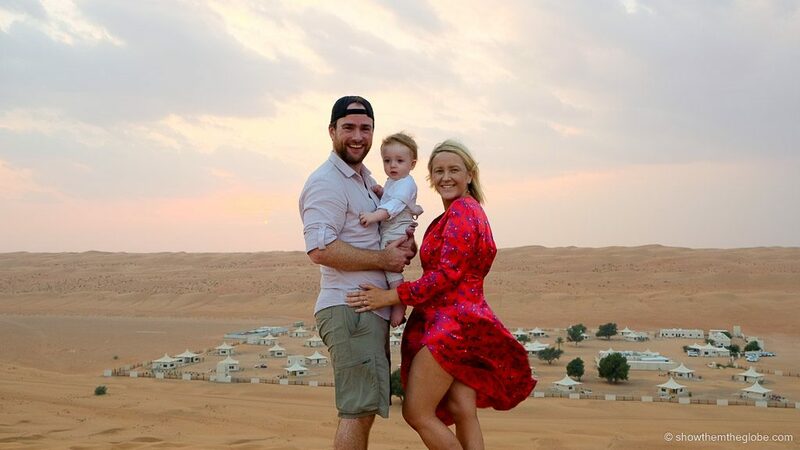 We traveled to Tokyo with baby J when he was 10 months old and loved our family time in one of the world’s most fun, quirky and chaotic cities. 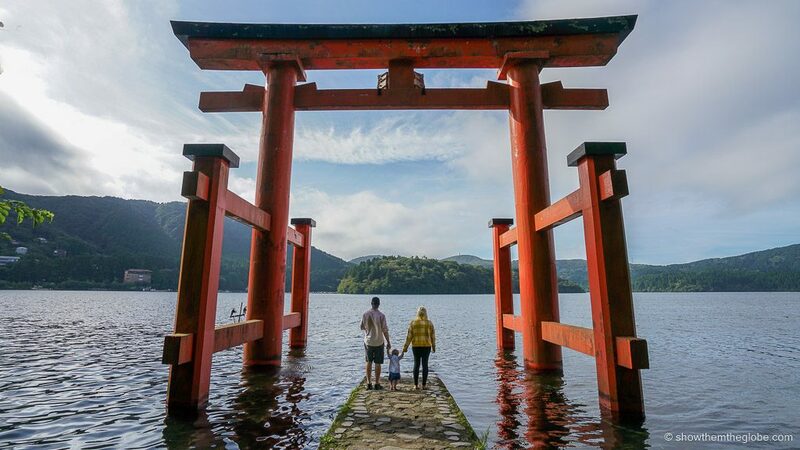 Tokyo is an awesome choice for a family vacation and there are endless things to do in Tokyo with kids. Together we explored its iconic sights from Shibuya Crossing to Harajuku to the amazing Digital Art Museum. 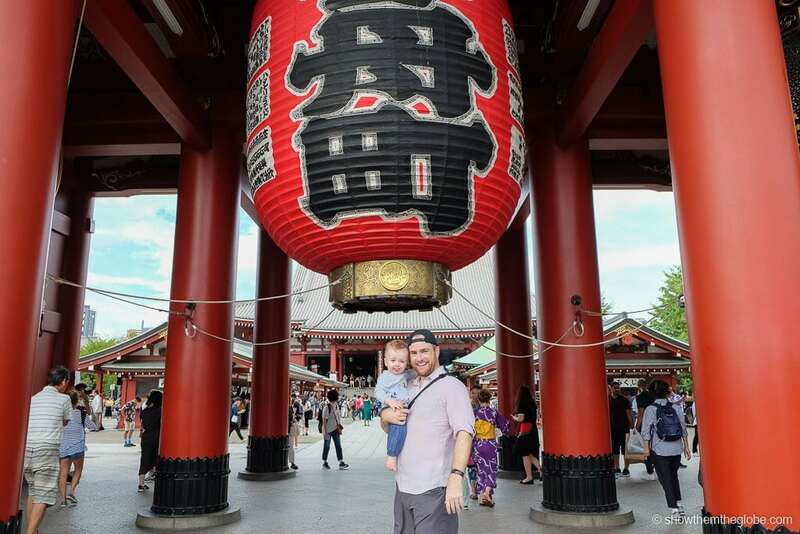 Here’s our guide to traveling to Tokyo with a baby! 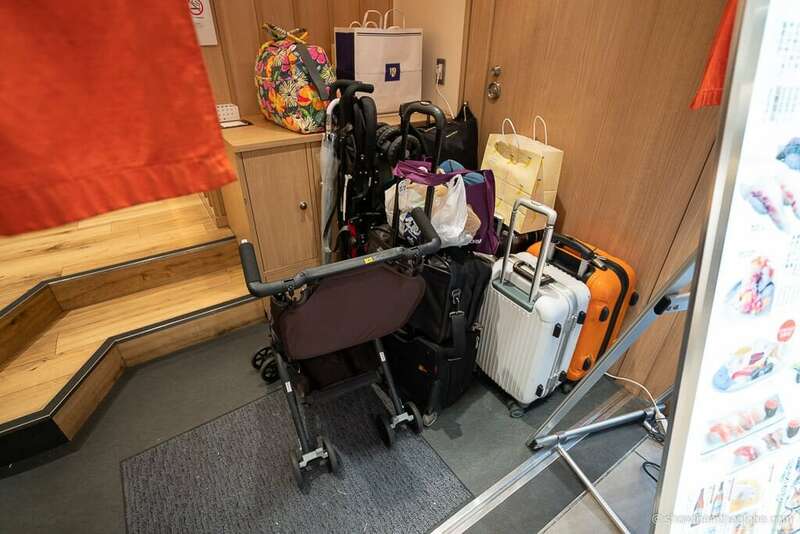 As we were spending two weeks in Tokyo we wanted somewhere relatively spacious in a city where hotel rooms are notoriously small! We always chose a hotel within a short walking distance of a subway station or, preferably, one of the major train stations such as Tokyo Station. Tokyo with a baby tip: lots of hotels in Tokyo have coin operated laundry on site and we loved having the flexibility to do some laundry especially as we were on a multi country trip. We brought baby sensitive detergent with us but the detergent was often automatically included in the washing cycle. Shibuya Excel Hotel, Tokyu: close to Shibuya Station the hotel’s 25th-floor restaurant level offers the best views of Shibuya, has laundry facilities and the location is excellent for exploring the city – Check prices here! Stroller or baby carrier in Tokyo? 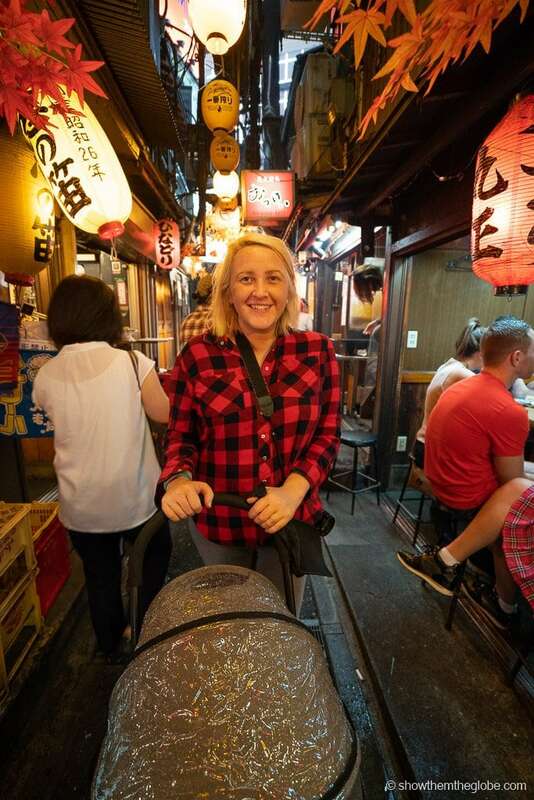 We traveled with a stroller and a baby carrier to Tokyo and used both countless times – we would definitely recommend traveling with both to Tokyo if it’s an option. We tend to walk for miles and miles while on vacation and Tokyo is a city made for walking so it was great to have the stroller for J to relax in. The stroller was perfect for places that required a lot of walking: navigating the airport, exploring Tokyo’s green spaces and wandering through the city. Tokyo with a baby tip: we travel with the cabin friendly BabyZen Yoyo+ and most of the strollers we saw in Tokyo were super compact – we saw many BabyZen’s and GB Pockit’s on the city streets. Bring a compact, foldable stroller if possible as it’s just easier for navigating the crowded city and storing in restaurants. Many Tokyo restaurants occupy small premises and a compact stroller is a bonus! 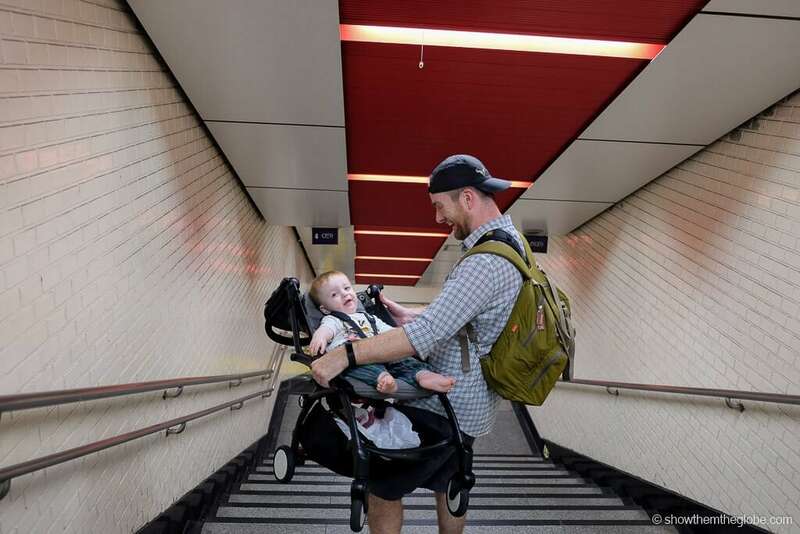 For subway trips, exploring crowded neighborhoods like Harajuku or wandering through the narrow alleys of Golden Gai and Memory Lane in Shinjuku a baby carrier is a necessity. 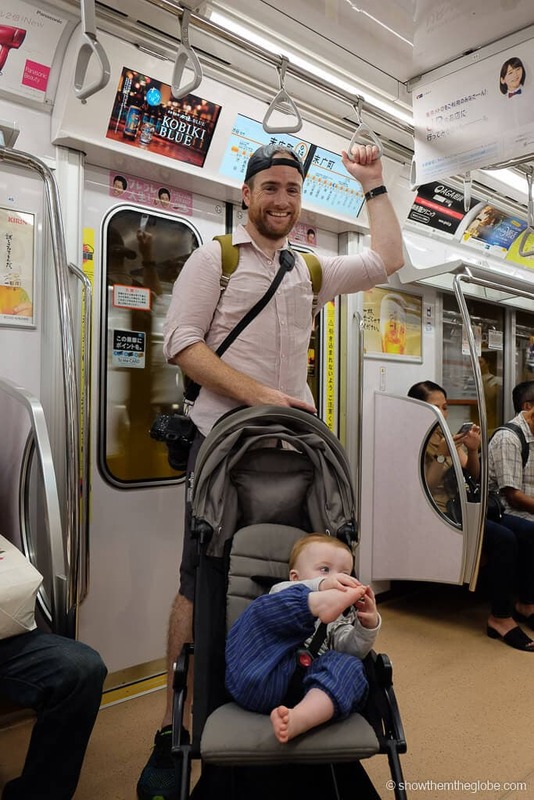 Tokyo with a baby tip: we use an Ergobaby 360 baby carrier while travelling. From airport rides to navigating the city, it is important to plan how you will get around Tokyo with a baby. We used a mix of trains, the subway and walking during our visit. 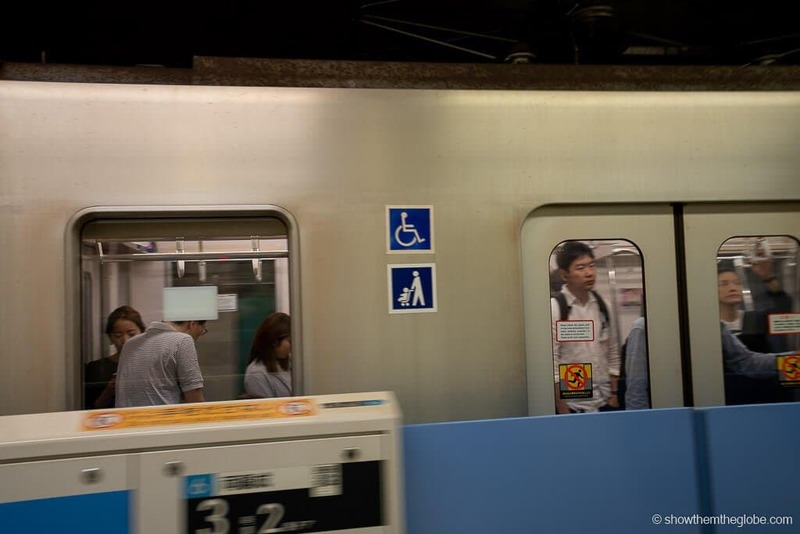 In Tokyo, the trains and the subway are generally the quickest, cheapest and most convenient way to navigate the city. 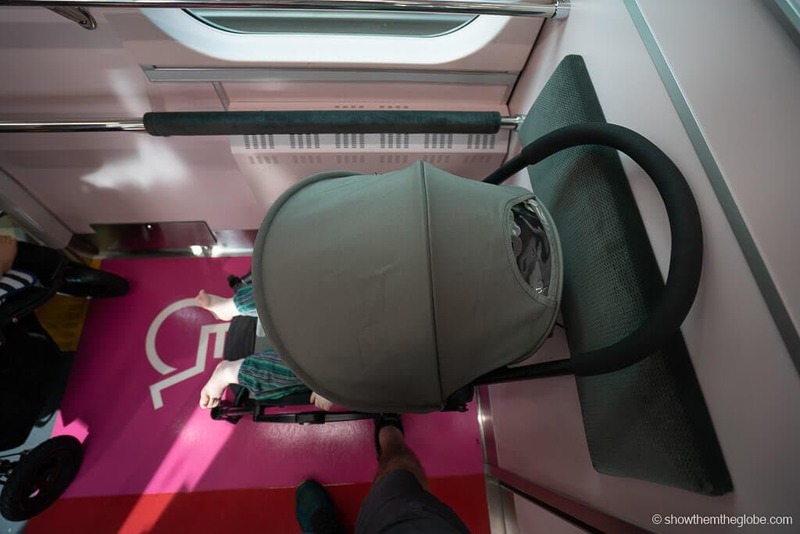 There’s no reason to shy away from the public transport system when traveling with a baby. The Tokyo subway (which is made up of the Tokyo Metro and the Toei Subway) and the JR line (run by the private company Japan Railways) are the two main train networks in Tokyo. The Yurikamome Line runs to Odaiba and the Digital Art Museum and the Narita Express operates between Narita Airport and Tokyo Station, Shinjuku and Yokohama. We found it easier to locate elevators on the JR line. It was more of challenge in the metro stations where elevators often required a lot of extra walking. We got by with a mix of our baby carrier or carrying the stroller up and down the stairs. At least J found the stairs fun! On many of the trains there are designated areas for stroller parking. However, at rush hour, it’s likely you will need to fold the stroller and carry your baby. Also, try to be conscious not to block the subway door or free seats with the stroller. Designated parking space on the train! Tokyo with a baby tip: To make the most of our subway pass we tried to do as much of our subway travel as possible within the 72 hour pass period. 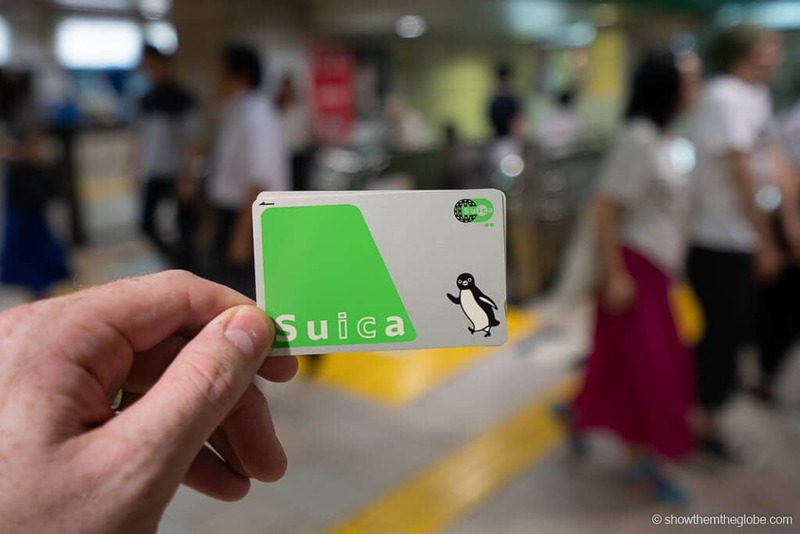 For the rest of our trip we purchased a Suica or a Pasmo card instead of individual tickets for each train ride. The rechargeable cards can be swiped at the ticket barriers and used to pay for the train fare. They work on the JR trains, the subways lines and the Narita Express. We found them much quicker and more convenient than having to find money and purchase a ticket each time we took a train. Children below the age of 6 are required to travel in car seats but taxis are exempt. If you plan on grabbing a cab from the airport, you need to either bring a car seat or be comfortable taking a car journey with an infant on your lap. 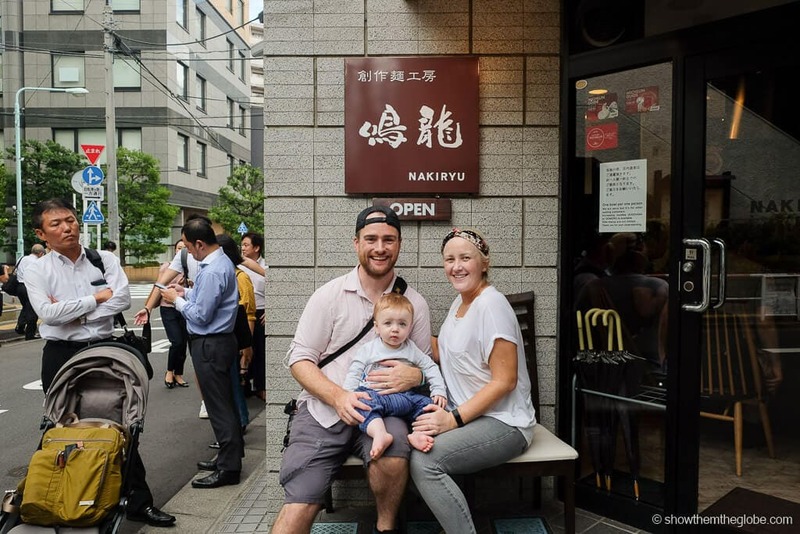 Tokyo is extremely baby friendly and most restaurants welcomed J – we ate at sushi joints, a gyukatsu (deep fried beef cutlets) hole in the wall, themed restaurants, high-end bakeries and even a Michelin Star ramen bar! The majority of the restaurants we ate in provided high chairs and baby plates and cutlery. 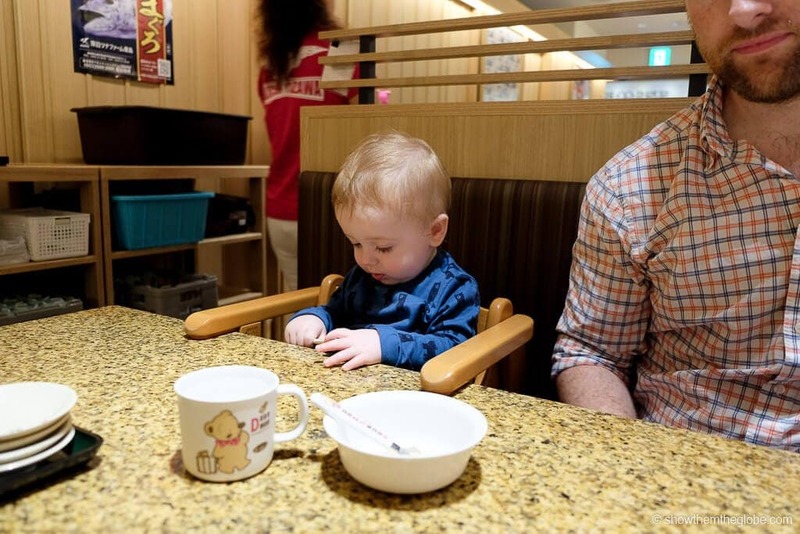 Tokyo with a baby tip: Often it is easier to eat out earlier in the day when places are less crowded and more relaxed. Lots of restaurants have counter seating but ask staff to save a booth for more space. Sushi time! Most restaurants we ate in provided high chairs and baby plates and cutlery. J joined us for some Michelin Star ramen! 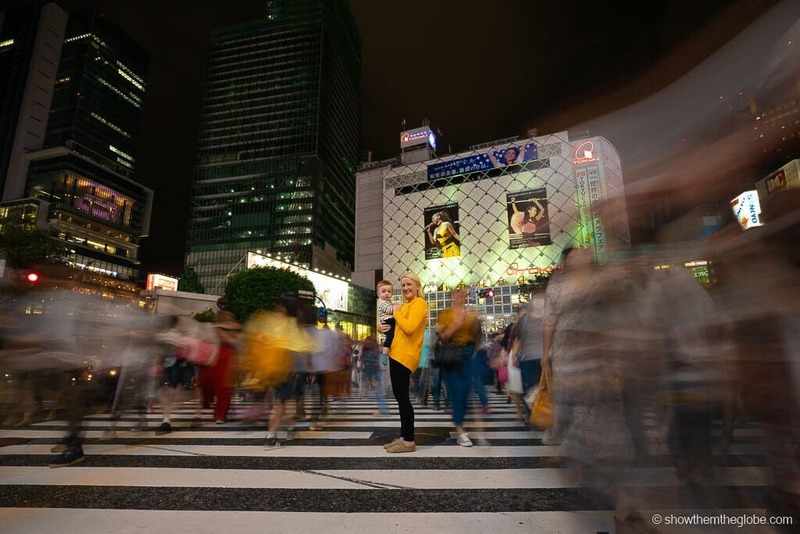 Tokyo is quirky, chaotic and charming and there’s an abundance of things to do which are fun for both adults and kids. 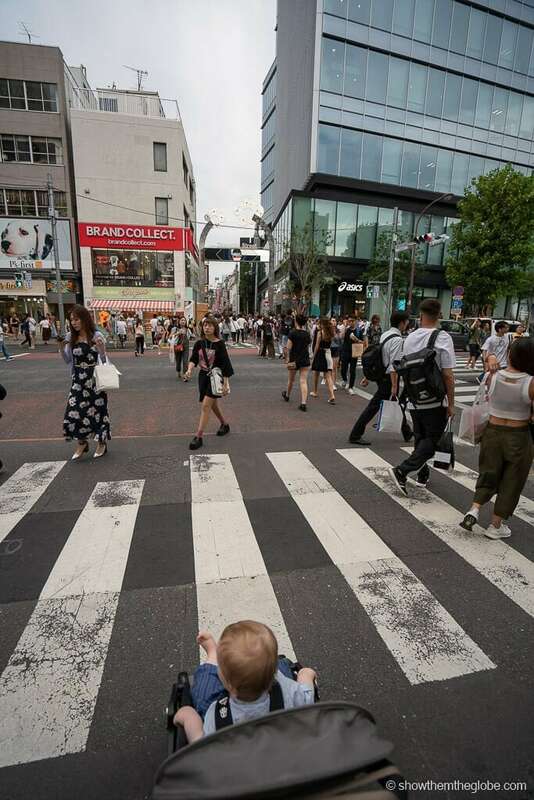 Our baby friendly recommendations include Harajuku, Shibuya Crossing, the Digital Art Museum and exploring Tokyo’s parks. 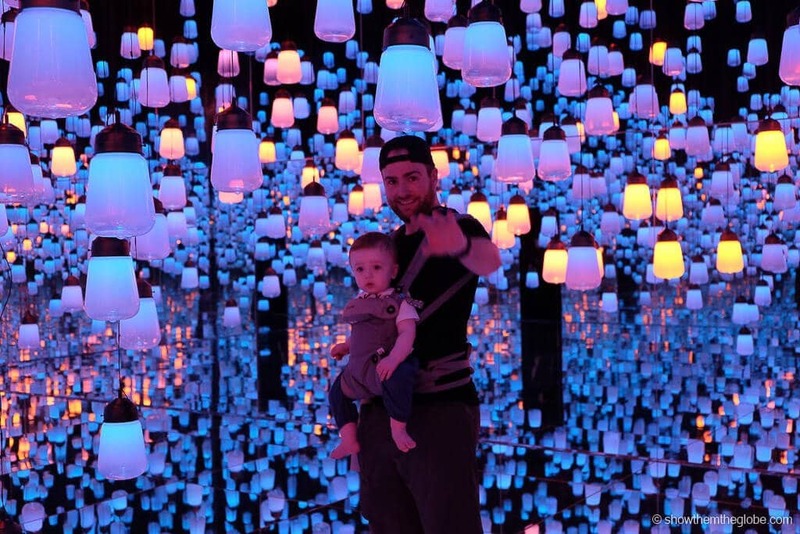 Check out our guide on things to do in Tokyo with a baby for a full lowdown! 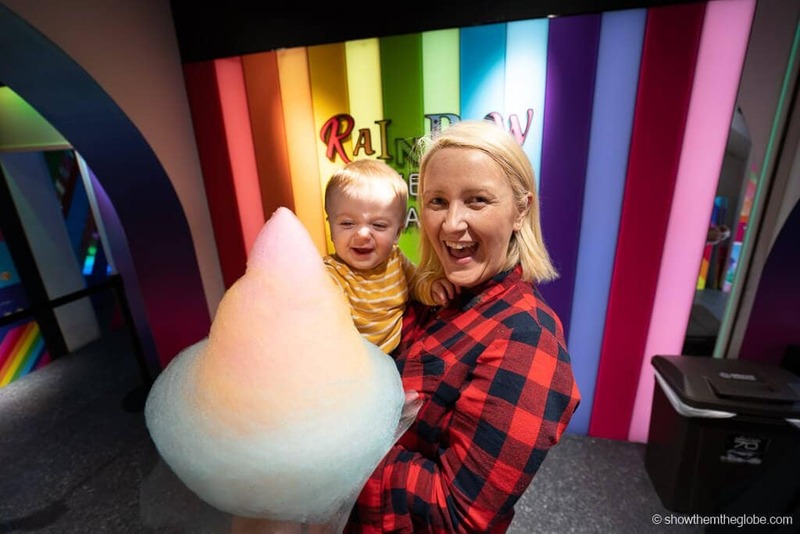 Candy floss fun in Harajuku! 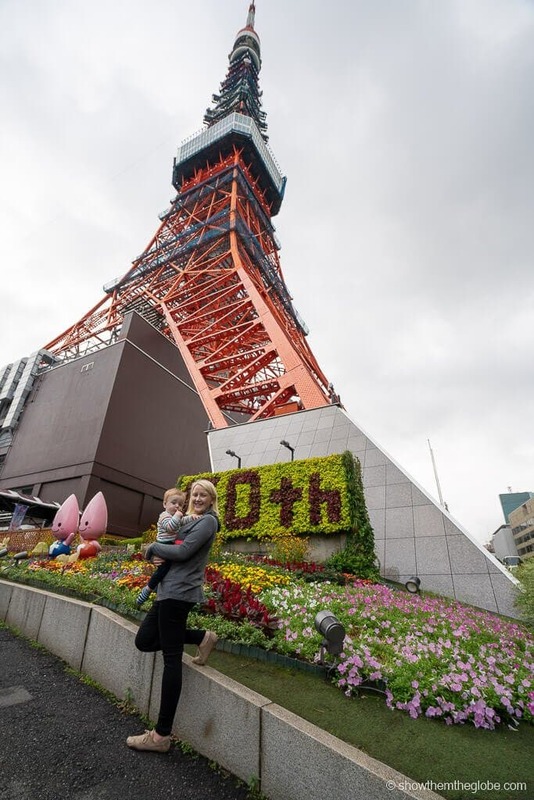 Tokyo is a world-class city and, as a result, we had no concerns traveling there with a baby. There is an extremely high standard of accommodation, transport and hygiene. Healthcare: the standard of healthcare is excellent in Tokyo. Check with a medical professional regarding any recommended vaccinations and if they are licensed for a baby. Baby Supplies: it can be a little hit and miss finding baby essentials in Tokyo’s supermarkets and pharmacies. 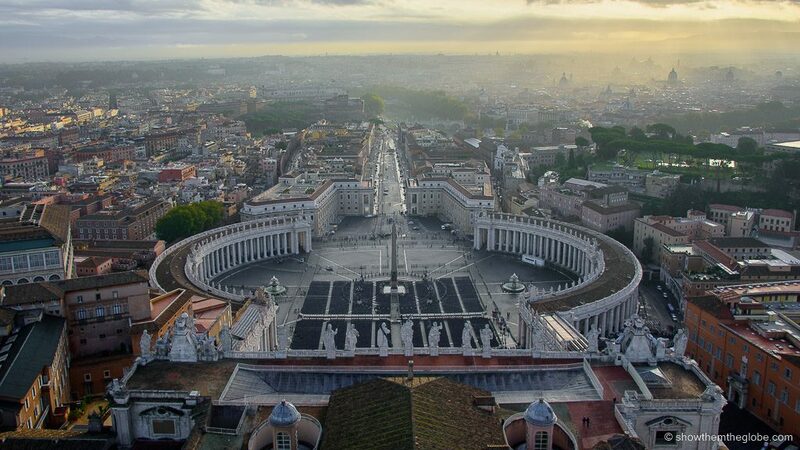 Many cater for the local office workers and convenience seeking tourists who pass through. Even the stores which did stock baby supplies tended to have limited ranges. For example, many only had diapers suitable for young babies. As such, a quick google of baby specific stores or nearby residential areas will help, as these tend to be better equipped with baby products. Mosquitoes: Mosquitoes are common in Tokyo’s parks and gardens as well as in the grounds of the temples and shrines. They generally make an appearance around dusk. We covered J’s stroller with a mosquito net during our evening adventures. Weather: Tokyo can be very hot and humid so, during these times, make sure to avoid the hottest part of the day, use sunscreen and carry water for you and baby. We arrived during a heat wave and had to be really careful that J was hydrated and protected in the extreme temperatures.